Alba Iulia, known also by its ancient name Apulum, represented a significant military and economic headquarter during the Roman reign. The city seemed a miniature of Rome, with its mosaics, temples, statues, amphitheaters and the Daciarum Trium palace. 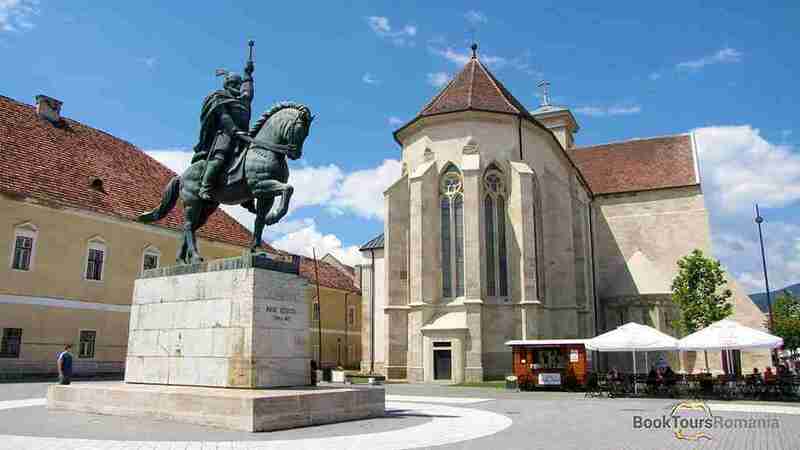 An outstanding military, political and cultural center, the city reached its peak during 1542-1690, when it had the role of the capital of the Principality of Transylvania and housed the royal residences of the Transylvanian princes. Alba Iulia witnessed several important events: in 1599 Mihai Viteazul succeeded in uniting for a short time the three provinces of Romania, Wallachia, Transylvania and Moldavia; on 1st December 1918 it was announced the unification of Transylvania province with the rest of Romania; prince Ferdinand was crowned in 1922 as King of Romania, during a ceremony which looked like the unification ceremony held by Mihai Viteazul in the past. After the peasant revolt on 28 of February 1785, led by Horea, Cloșca and Crișan on Pitchfork Hill, the city became a symbol of battle for justice and freedom. The fortress was constructed between 1716 and 1735 following the designs of the Italian architect Giovanni Morando Visconti. This construction is representative for the Vauban military system and it is the largest example in the southeastern Europe. The margins of the citadel consists of 7,2 miles of fortification made of brick and quarry stones laid in a seven-point star shape with seven bastions. The six gates are constructed in an early Baroque style, unique across the European military structures, and they were an inspiration for the 18th century Transylvanian constructions. 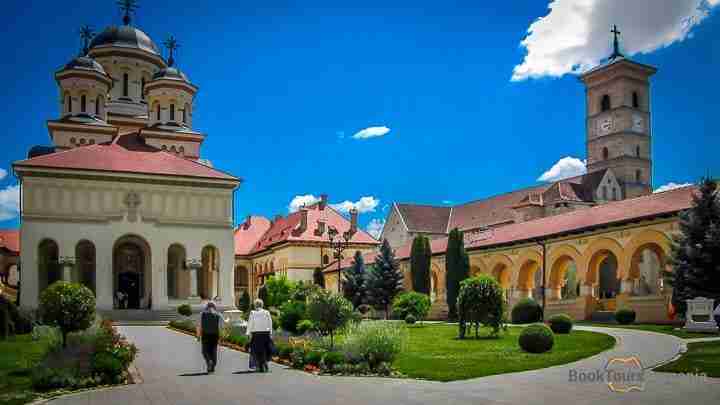 The palace dates back to 16th century and served as royal residence for Mihai Viteazul during the first political unification of the Romanian regions in 1599. Unfortunately the palace was destroyed after the successive invasions of Ottomans and Tatars. It was restored later during the rule of Gábor Bethlen and George II Rakoczi but not to its original conditions. This building did not served as a library from the start. It was initially an Unitarian church which was transformed in a library by Ignac Batthyany in 1780. This institution is well known for the rare manuscripts which are held here: more than 60,000 documents including the Codex Aureus from the 9th century (Lorsch Gospel- containing the Gospel of Mark and Matthew), David’s Psalms, Codex Burgundus from 15th century, Biblia Sacra from 13th century, the Pentateuch from Orăştie from 1850, Şerban Cantacuzino’s Bible and the New Testament from Balgrad.